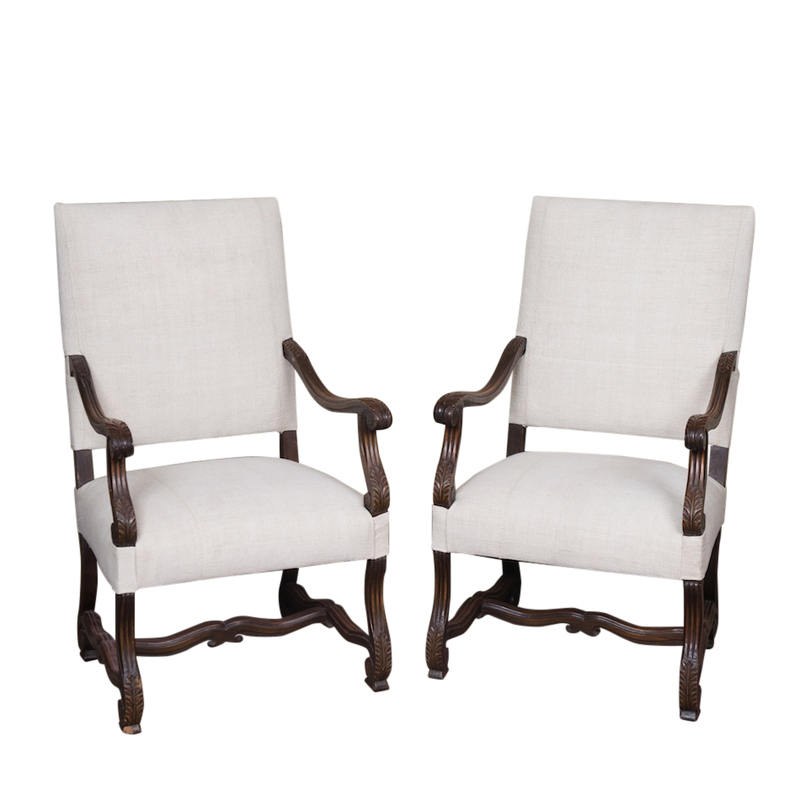 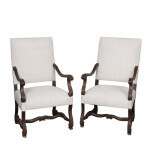 These antique French captain armchairs are incredibly gorgeous. 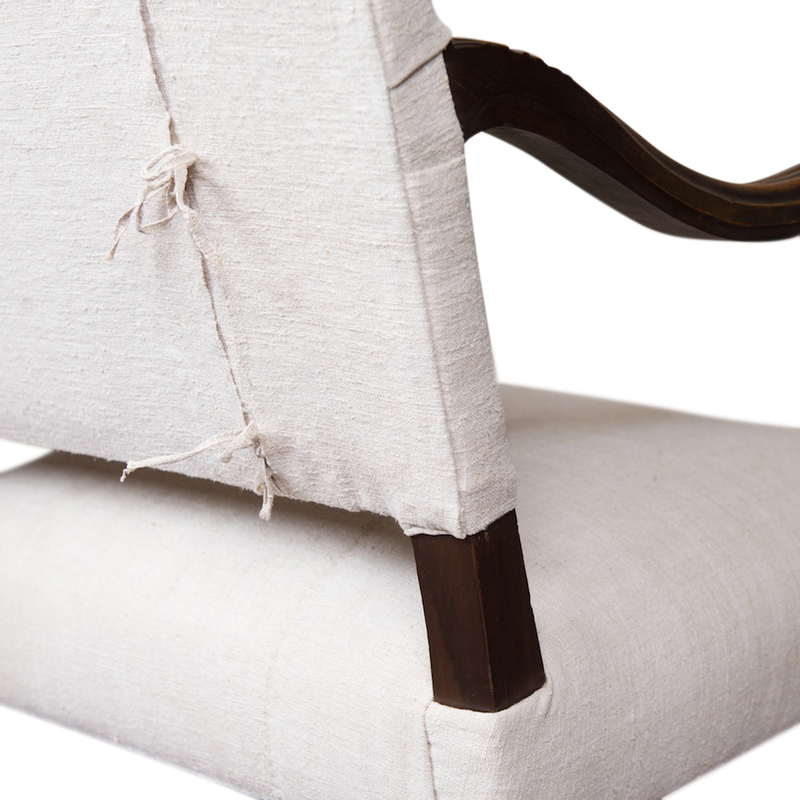 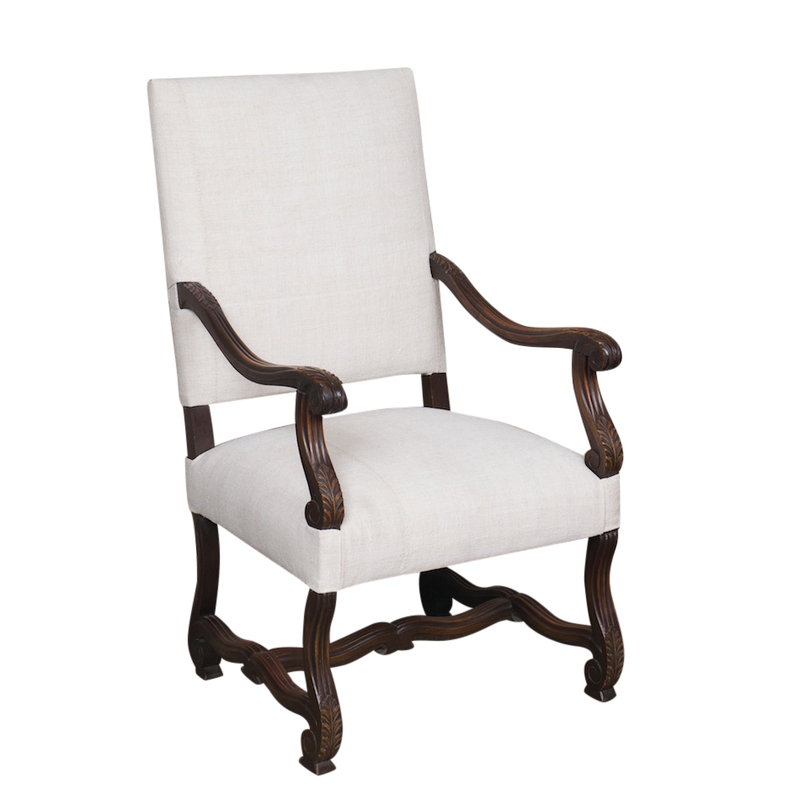 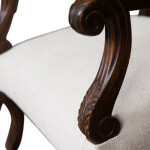 From their rich wooden frame with intricate carved detailed to their custom upholstery in European Homespun linen. 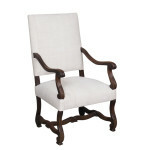 These are terrific for sweetheart seating, end chairs, or within a lounge vignette.